The extraordinary missionary work of the sons of Mosiah as recorded in Alma 17–27 resulted in a wave of Lamanite conversions. Not only were Lamanite lower-classes converted, but also their royalty (Alma 18:22–19:26; 22:1–26). Among those converted were groups of Lamanites taught by Ammon, who, upon their conversion, took the name Anti-Nephi-Lehies (Alma 23:4–18). This, the text informs, was done so that these converts “might be distinguished from their brethren” who remained unconverted (v. 16). Included among the converts was the Lamanite king, who gave his son a new name–––Anti-Nephi-Lehi–––upon his ascension to the throne (Alma 24:1–6). Concerning these converted Lamanites, Mormon wrote, “They began to be a very industrious people; yea, and they were friendly with the Nephites; therefore, they did open a correspondence with them, and the curse of God did no more follow them” (Alma 23:18). 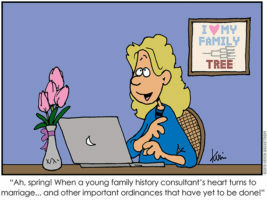 This proposal works especially well in light of what follows directly after the name is given. The text, as mentioned above, indicates that the Anti-Nephi-Lehies “were friendly with the Nephites” upon their conversion, and “did open a correspondence with them” (Alma 23:18). More than simply “friendly” in the common sense of the word, the Anti-Nephi-Lehies and Nephites entered into a covenant or treaty that gave the Anti-Nephi-Lehies land and Nephite protection (cf. Alma 27). The fact that these two parties were “friendly” to each other is thus perhaps best understood to mean they created a political alliance. This would be consistent with other Book of Mormon passages. King Lamoni, for instance, spoke of Antiomno as “a friend unto me,” and as such was able to use a political favor by having Ammon’s brethren released from prison (Alma 20:4). Allies used this kind of language in several ancient Near Eastern cultures. In treaties or political alliances (as seen in political correspondences from Mari, Ugarit, and Egypt), the participating powers often employed familial language to describe the diplomatic relationships between themselves, including “father,” “son,” and “brother.” Israel is called Jehovah’s covenant “son” in such places as the book of Hosea (cf. Hosea 11:1–4). And in the Greco-Roman world, including in the New Testament (cf. Luke 23:12), the language of “friends” was used to describe political and economic alliances between Rome and other potentates. The same is also true of Book of Mormon peoples (Jacob 1:14; Mosiah 24:5; 28:2). Taking the name Anti-Nephi-Lehi was a public statement made by this group of converts that they had independently stepped away from the well-established political order. This bold step could not be kept secret for long. This coronation name may have served several purposes, one of which could have been to signal their solidarity with their new Nephite friends and allies. By adopting this name, which included both Nephi and Lehi, this king and his people also implicitly recognized themselves as descendants of Lehi living in the land of Nephi. Instead of following the traditions of their more recent fathers, these people now sought to look back to the times and teachings of Father Lehi, who had taught the true way to the tree of life and had promised all of his posterity the blessings of peace and prosperity based on their united obedience to the laws of the coming Messiah. In bearing this name, the commitment and bravery of these Lamanite converts should not be overlooked. 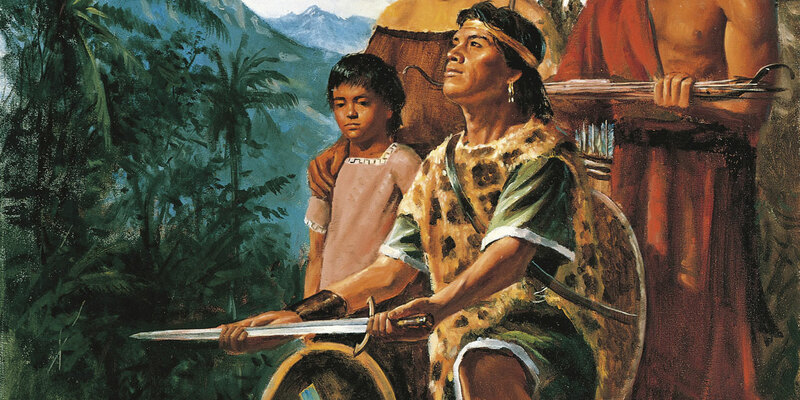 By taking upon them this new name (“the-one-who[-is-of-]Nephi-Lehi”), these Lamanites defied the traditions of their fathers, and exposed themselves to retaliation. Immediately after their conversion, they were attacked by their former Lamanite allies, who “were stirred up . . . to anger against their brethren” (Alma 24:1). Hatred against the Anti-Nephi-Lehies was so strong (v. 2), that many of the Anti-Nephi-Lehies were massacred by their former kindred (vv. 20–22). This entire episode makes the most sense of the Anti-Nephi-Lehies if they had done more than simply convert to another religion. Throughout the ancient world, where separation of church and state was practically unheard of, devotion to a deity, loyalty to political structures, and preservation of one’s cultural identity were wrapped up into a single essence. This was certainly true for many peoples in the Book of Mormon. By converting to the gospel, taking the name Anti-Nephi-Lehi, adopting a Nephite identity, and becoming their “friends” (cf. Alma 27:20–27), the Lamanite converts undoubtedly recognized the risks they ran by signaling their complete and unfailing devotion to their newly embraced God. “Anti-Nephi-Lehi,” Book of Mormon Onomasticon, ed. Paul Y. Hoskisson. Royal Skousen, Analysis of Textual Variants of the Book of Mormon: Part 4, Alma 21–55 (Provo, UT: FARMS, 2007), 2091–2095. Stephen D. Ricks, “Anti-Nephi-Lehies,” in Book of Mormon Reference Companion, ed. Dennis L. Largey (Salt Lake City, UT: Deseret Book, 2003), 67–68. On the nature of the Lamanite curse, see Book of Mormon Central, “What Does It Mean to Be a White and Delightsome People? (2 Nephi 30:6),” KnoWhy 57 (March 18, 2016); “Why Did Book of Mormon Prophets Discourage Nephite-Lamanite Intermarriage? (Alma 3:8),” KnoWhy 110 (May 30, 2016). See Kevin Barney, “Anti-Nephi-Lehies,” By Common Consent; “Anti-Nephi-Lehi,” Book of Mormon Onomasticon, ed. Paul Y. Hoskisson; Royal Skousen, Analysis of Textual Variants of the Book of Mormon: Part 4, Alma 21–55 (Provo, UT: FARMS, 2007), 2091–2095. Stephen D. Ricks, “Anti-Nephi-Lehi,” in Book of Mormon Reference Companion, ed. Dennis L. Largey (Salt Lake City, UT: Deseret Book, 2003), 67; compare Alan Gardiner, Egyptian Grammar, 3rd edition (Oxford: Griffith Institute, 1957), 150–151; James E. Hoch, Middle Egyptian Grammar, SSEA Publication XV (Toronto: Benben Publications, 1997), 124–127; James P. Allen, Middle Egyptian: An Introduction to the Language and Culture of Hieroglyphs, 3rd edition (Cambridge: Cambridge University Press, 2014), 350–351. F. Charles Fensham, “Father and Son Terminology for Treaty and Covenant,” in Near Eastern Studies in Honor of William Foxwell Albright, ed. by Hans Goedicke (Baltimore, MD: The Johns Hopkins University Press, 1971), 121–135; J. David Schloen, The House of the Father as Fact and Symbol: Patrimonialism in Ugarit and the Ancient Near East (Winona Lake, IN: Eisenbrauns, 2001), 255–262. Also see Book of Mormon Central, “What Did it Mean to a ‘King Over All the Land’? (Alma 20:8),” KnoWhy 128 (June 23, 2016). See the commentary offered by Joy P. Kakkanattu, God’s Enduring Love in the Book of Hosea: A Synchronic and Diachronic Analysis of Hosea 11:1–11, Forschung zum Alten Testament 2. Reihe 14 (Tübingen: Mohr Siebeck, 2006), 31–44. T. Benjamin Spackman, “The Israelite Roots of Atonement Terminology,” BYU Studies Quarterly 55, no. 1 (2016): 53–57. See Book of Mormon Central “Why Did Ammon Borrow So Much from Tradition in Alma 26? (Alma 26:8),” KnoWhy 133 (June 30, 2016). If Joseph Smith was translating into English why not just the term "the people of Nephi-Lehi" instead of some Egyptian icon that represents this definition. It happens that he did it just down the road when they get to Zarahemla and they call themselves the people of Ammon. Dubious explanation in my view. 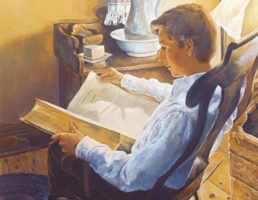 Joseph Smith was a simple man with the desire to be plain to those who would read the work. Possible I suppose but a reaaaaal stretch on this one. Somewhere I read that Hugh Nibley said that Anti means "in the imitation of, or reflection of the teachings of" when referring to this scripture.